Soloman, one of David’s sons, had 300 wives and 700 porcupines. So, with love for God’s story, we carry on. Today we are looking at the story of Joshua. Joshua, whose name means “Yahweh saves” was Moses’ second-in-command. Shortly after the crossing of the Red Sea, he led the Israelites in their successful battle against the Amalekites (Ex. 17:8-16). When Moses went up on Mt. Sinai to speak with God, Joshua went up with him (Ex. 24:13). Later, when Moses would go outside the camp to a special tent called the “Tent of Meeting” to talk with God, Joshua would be in that tent, too. But unlike Moses who would go back into the Israelite camp to convey messages to the people, Joshua would stay in the Tent of Meeting all the time (Ex. 33:7-11). So, the picture that we have of Joshua is that he was a gifted military leader, a loyal assistant and a person who is 100%, totally dedicated to God. And this isn’t just any God, Joshua is totally focused on Yahweh, who is the God of Abraham, Isaac and Jacob, the same God who we know as Father, Son and Holy Spirit. And so Joshua and the rest of the Israelites had to wander in the desert for 40 years. Those 40 years went by and Joshua was appointed by God to succeed Moses (Num 27:15-23). Under Joshua’s leadership, the Israelites crossed the River Jordan and then conquered the land which the Lord had given them. With peace in the land, Joshua, who was by this time around 110 years old, followed God’s instructions to divide up the Promised Land into 12 parcels of land for the tribes of Israel. Then he called Israel’s leaders together and gave them some final instructions said farewell. After that, he called all the Israelites together at Shechem. In the account which is recorded for us in Joshua, chapter 24, Joshua reminds the people of all the things that God has done for them. He told of how God brought Abraham out of his pagan homeland and into a faith relationship with the one true God. Joshua spoke of how God worked through Moses and Aaron to bring the Israelites out of slavery in Egypt. He reminded the people that it was the Lord who gave them victory in the Promised Land, giving them a land on which they did not toil and cities which they did not build and vineyards and olive groves that they did not plant (cf. Joshua 24:13). But Jesus knew it was also a land where the Israelites would be tempted by the idols of their neighbours. 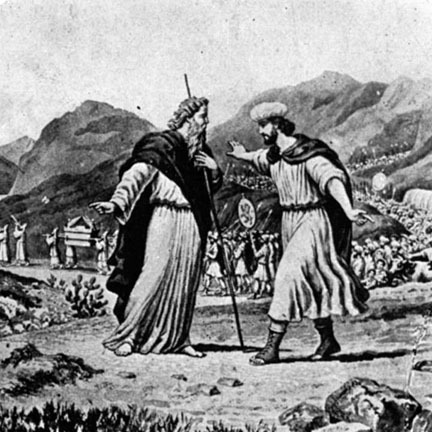 After the Gathering at Shechem was over, Joshua dismissed the people so that they could all go to their new home areas, and shortly afterwards he died. If we had lived Joshua’s life, we would have called much of it a grave disappointment. At the risk of his own life, Joshua had stood firm against the majority of his peers and protested that they should follow God’s command to enter the Promised Land. But they refused and Joshua had to spend 40 years of the prime of his life in the desert with everyone else. Joshua must have been disappointed by this turn of events. And whenever there is disappointment, there is something around us that promises to ease the pain, there is something that offers us a quick and easy way out from under the consequences others have brought on us. Someone may say to you, “I can give you something to take and you won’t worry about your problems anymore.” Or “If you call right now, there will be someone on the other end of the line who will take away all of your loneliness.” Or maybe the voice you hear says, “If you want to make some quick cash, I have a great business venture in which you can invest.” But all of these quick and easy escape mechanisms never fully satisfy. Flirt with them long enough and they will enslave you and lead you on a path to your destruction. On Oct 21, Col. Russell Williams was convicted of the murders of Marie-France Comeau and Jessica Lloyd and numerous break-ins and thefts. All of this terrible evil that he committed probably began with something small. Maybe it started with an ordinary human need like loneliness, but perhaps that loneliness was fed with an unholy desire, which then escalated into deviance and destruction. However it started, the result is ruined lives all around. I have a question for you: If you were to compare the world around us to the journey of the Israelites, would you say our society is more like the journey through the desert where it was just the Israelites and God? Or is our world more like Canaan with many other gods clamouring for our attention and affection? I think that our world is like Canaan, and if that is the case, then we should heed Joshua’s call and be intentional about how we live. You may be familiar with post-modern philosopher Michel Foucault. As Foucault studied prisons and society at large, he came to the conclusion every society uses power to form individuals in a certain way. Prisons use the power of confinement, structure, punishment and rehabilitation methods to hopefully form prisoners into cooperative members of society. Corporations use the persuasive power of advertising to mould people into consumers of their products. The many new technological devices such as computers and cell phones that surround us are shaping us into different kind of people than we were 20 years ago. So with all this “discipleship” that the world is doing to us and our children, how much intentional shaping and moulding and forming are we doing in our homes? If someone came into your home and observed all the conversations and activities that happen there, would they be able to tell that yours was a Christian home? If someone came into your house and looked at the walls of your home, would they see any clues that you followed Jesus Christ? Parents, if you have children at home, are you being intentional about discipling them into being followers of Jesus Christ? Because there are a whole bunch of non-Christian entities out in the world who are being very intentional about discipling your children, and you, into following them. Someone had sustained Joshua and carried him cheerfully and faithfully to the very end of his long life. And Joshua wanted the Israelites to who sustained him, especially now that they lived in a land where they were surrounded by false gods. That Someone was Yahweh. It was Yahweh who said, “Have I not commanded you? Be strong and courageous. Do not be afraid; do not be discouraged, for the LORD your God will be with you wherever you go.”(Joshua 1:9) It was Yahweh who gave Joshua the victory against the Amalekites. 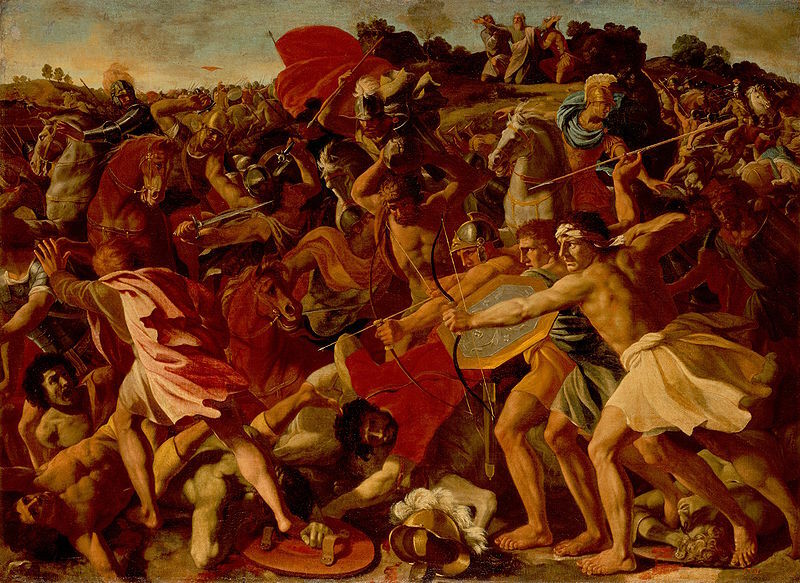 It was Yahweh who enabled Joshua to defeat the Canaanites. It was Yahweh who brought the walls of Jericho a tumblin’ down. It was Yahweh who stopped the Jordan River so that the Israelites could cross on drive land. It was Yahweh who melted Joshua’s disappointments away just by being with him. And more than a thousand years later, Yahweh sent another Joshua who served not just ancient Israel, but also the whole world. This Joshua spend 40 days in the desert fighting temptation for us. This Joshua defeated all our enemies for us. This Joshua is preparing a new home for us in the future. And one day this Joshua will lead us into that Promised Land which he has prepared for us. You see, Joshua is the Old Testament way of saying a name that in the New Testament we pronounce as Jesus. Jesus is the one who will sustain us throughout this life. 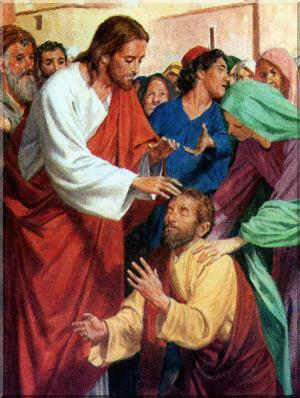 Jesus is the one who truly heals all of our disappointments. Jesus is the one who will carry us when we stumble. Jesus is the one who gives us hope in the face of hopelessness. Jesus is the one who gives us life in the face of death. And so I encourage you to walk with Jesus and let him disciple you. Let him shape you, form you into the kind of person he has in mind for you to be. Let his spirit fill you again and again so that you are led and empowered to be intentional about placing Jesus in the centre of your life and home. I would like to invite the worship team to come forward at this time. In front of the altar today we have a bunch of rocks. And on each rock is printed these words, “As for me and my household we will serve the Lord.” And just us Joshua set up a rock to be a witness, to everyone who passed by, that in that place, on that day, the people had rededicated themselves to God, so also these rocks can be a witness to everyone who sees them that, on this day in this place, you and your household have rededicated yourselves to God. So I am inviting one person from each household to come forward and place your family’s offering on the altar. Maybe you give your offering by direct deposit and so you don’t have an envelope to place on the altar. Or maybe you give once or twice a month and today isn’t the Sunday when you give. Or maybe you haven’t given an offering before and so you don’t have one here today. Have one person from your family come anyway and then take one of these rocks home. If you have trouble walking, just raise your hand and the ushers will either assist you or take your offering up to the altar and bring a rock back for you. 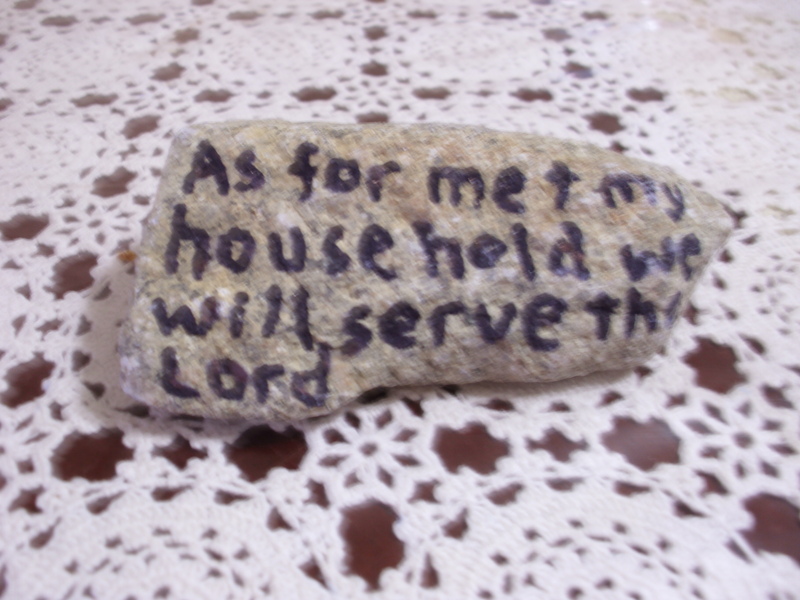 And I encourage you to display this rock someplace in your home where visitors can see it. And when they ask, “What’s that stone all about?” You can tell them about all the things that God has done for you. And you can invite them to join you on the journey. Amen. Basic Jokes: Clean Jokes for a Dirty World (Internet; available at: http://www.basicjokes.com/djoke.php?id=5277; downloaded on 30 Oct 2010).